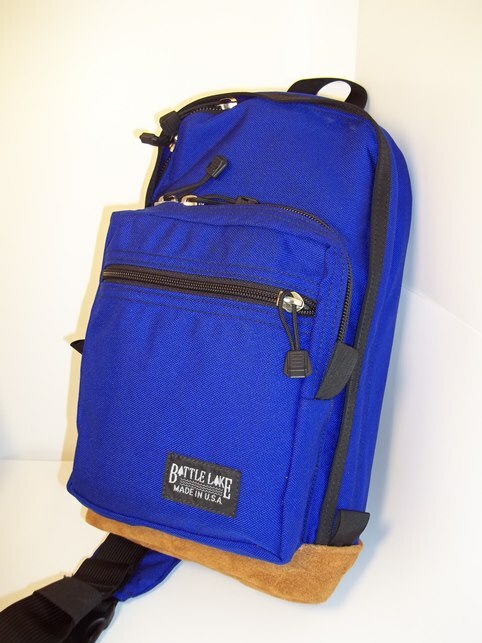 Looking for something a little smaller than a backpack but with the same durability? This small sling over your shoulder pack has a 4-6 ounce leather bottom, you will appreciate it's rugged good looks and function. It can sling over your left or right shoulder by clipping the snap hook to either side! It also features a full-access, zippered main compartment with a flat open pocket on the inside front and inside back, and a front raised zippered outside pocket with an interior organizer pocket and a flat zippered pocket on the front of that. This pack works great for holding water bottles, maps, tourist brochures, cell phone, camera, an umbrella and anything else you can stuff inside! 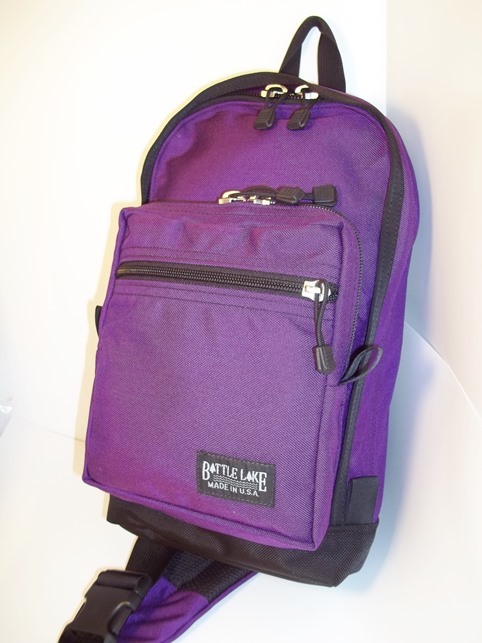 Large double zipper main compartment with flat open pocket on inside front and inside back. Raised front organizer pocket with key keeper. Small flat zipper pocket on front of raised pocket. Large drylex sling shoulder strap. Snaphook on bottom of shoulder strap allows it to be hooked on the right or left side. A single adjust side release buckle for adjusting shoulder strap length. Rugged leather bottom. 3/8” thick removable, padded back. 4 to 6 oz. leather bottom and sides. 1000 Denier Cordura outer. Drylex shoulder straps. Taped and double stitched seams. Heavy duty #8, #9 and #10 YKK Zippers. Nylon webbing. Nylon packcloth inside pockets. Long-life EV-50 foam for the padded back. Made in the USA of American materials. 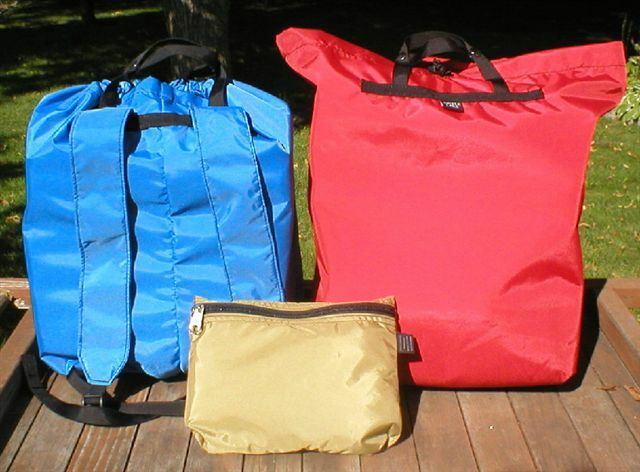 Main Compartment: Height - 15"; Depth - 4"; Width - 7.5"
Front Pocket: Height – 8-1/4"; Depth – 2-1/4"; Width – 7-1/4"